Cooling through evaporation is a natural process which reduces skin temperature through the evaporation of body perspiration. Evaporation is the mechanism our body uses to thermoregulate our core temperature and keep us in a comfort range. 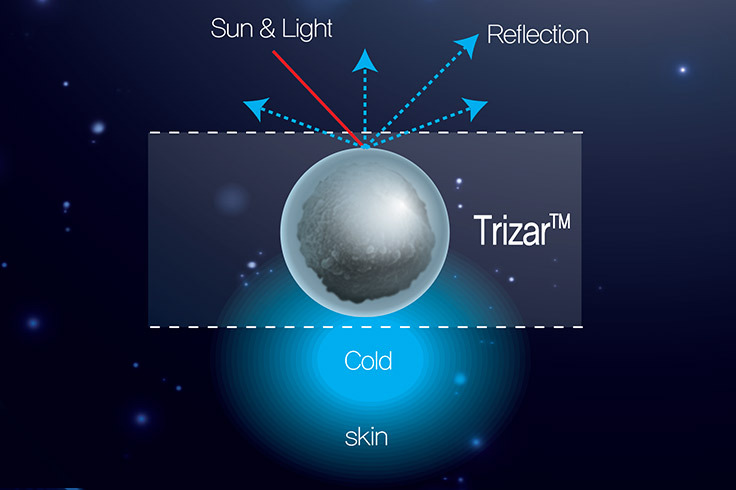 Trizar® technology rapidly evaporates moisture as the emissive particles increase surface area and use energy from your body as well to accelerate moisture changing into vapor. Technically the air temperature is the same in the sun and shade; however, because of the way the sun radiates heat your clothing picks up 10 to 15 degrees more heat in the sun. Trizar® technology uses low emissivity particles that reflect heat and these same minerals are used in skin creams and are taken as supplements. 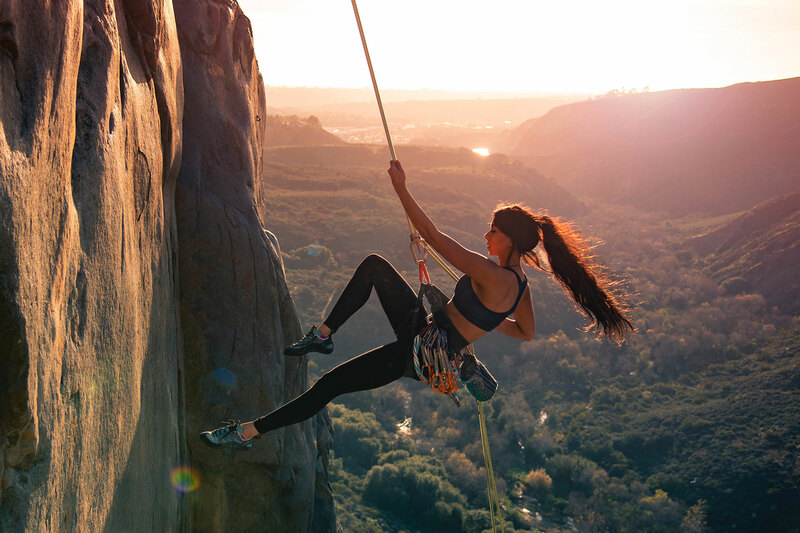 By keeping the heat on the outside of your gear you stay cooler in the sun and Trizar ® fabrics shade you with higher Ultraviolet protection (UPF) as well.